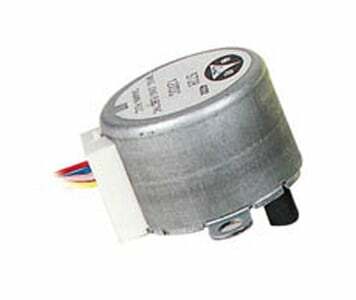 Features: -applications: office machines automatic machines split air conditioners Specifications: -rated voltage: 12V DC -current: 32mA -impedance: 300ohm -phase: 4 -step angle / step: 5.625° / 64 -reduction ratio: 1/64 -detent torque: 310gfcm -pull-in torque: 360gfcm -max. starting pulse rate: 700pps -max. slewing pulse rate: 1400pps -temperature range: 77°F -noise: 23dB -colors: B1: pink A1: orange A2: yellow B2: blue GND: red GND2 (for MOTS2): brown.